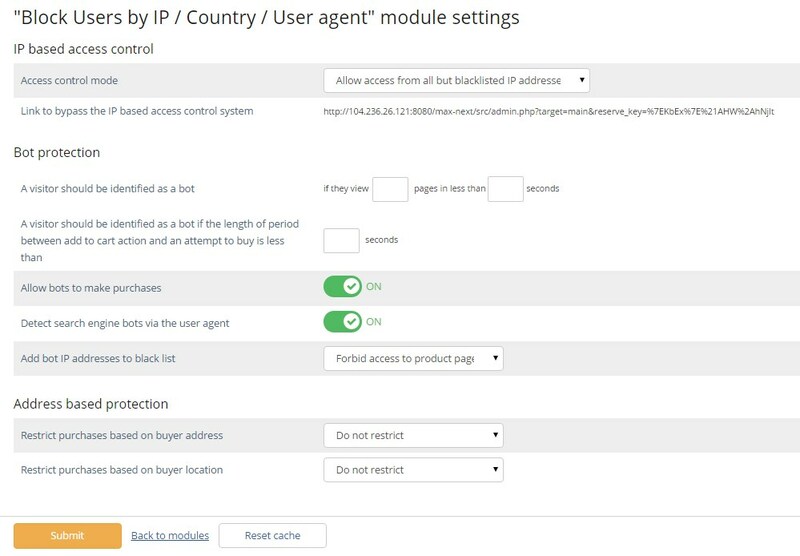 The module protects your store from bots and fraud customers, by limiting or completely restricting access to it with the help of flexible settings and filters, taking into account IP, address and user behavior. 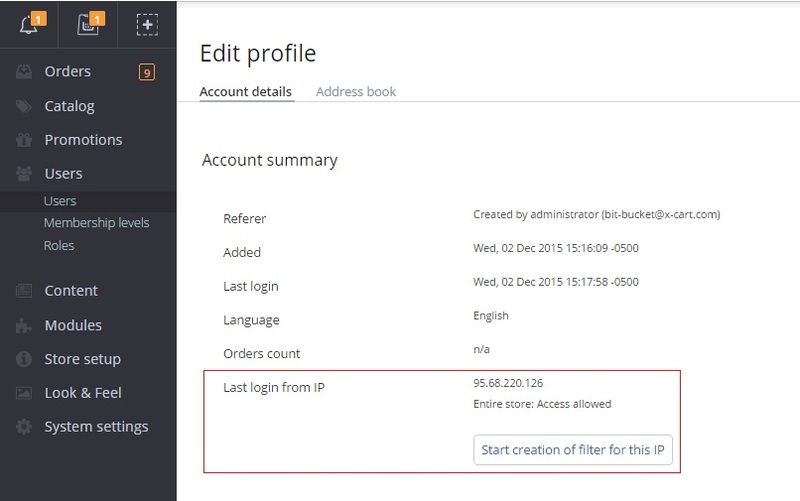 Filters can be created based on IP address, IP address mask, IP address country, User agent. 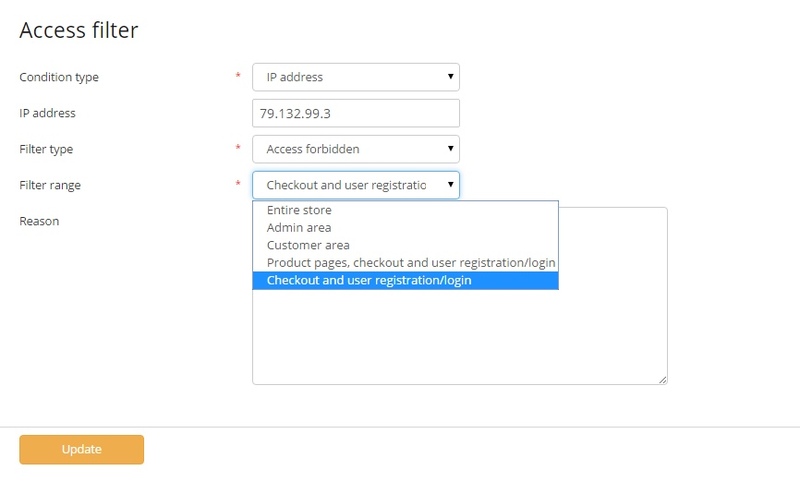 Access within the filter can be allowed/restricted to entire store; admin area; customer area; product pages, checkout and user registration/login; checkout and user registration/login. The store administrator can choose if access to the store can be allowed only for customers from whitelisted IP addresses or for all IP addresses except for blacklisted. In the former case, if you want to give access to a user whose IP is not whitelisted, there is key to bypass the IP based access control system. In the module settings a page a store administrator specifies conditions when a visitor should be identified as a bot and sets which Access control filters should be applied to visitors identified as bots. The module provides an opportunity to enable/disable detection of search engine bots via the user agent. Access restrictions for these bots will reduce load on the store performance. Access to purchases can be restricted by buyer’s address (if billing and shipping address are not from the same country or country and city) and by buyer’s location (if IP address and billing address are not from the same country or country and city). In the back-end, information on the IP address is available in user profile pages - Last login from IP, and in the order details pages - IP address from which the order was created. This block of information comes with a button, initiating quick filter creation for this IP. 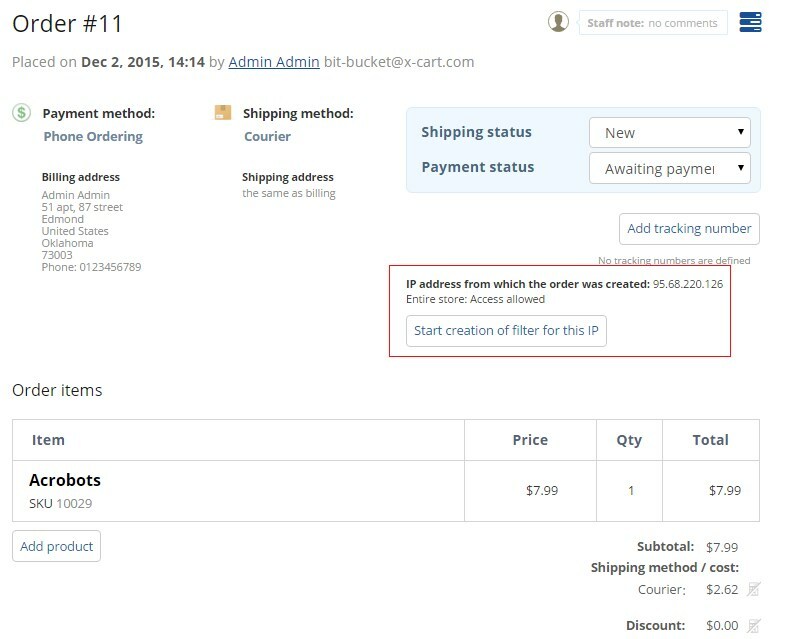 All the filters created by the store administrator are listed in section Access filters, where filters can be created, removed, enabled/disabled sorted by name, type, range, creation date and filter creator.